Our Powerlite Home Cinema 5040UBe Epson lamp replacement comes with a genuine original Osram brand projector bulb inside. The Powerlite Home Cinema 5040UBe lamp is rated 2,300 lumens with a lamp life of 3,500 hours (5,000 hours in Eco Mode). Beware of replacement lamps being sold elsewhere with generic bulbs inside that have lower quality, reduced lumen output and shorter rated life. Trust Pureland Supply with a 180 day warranty, 5-star Google rating, and free ground shipping. 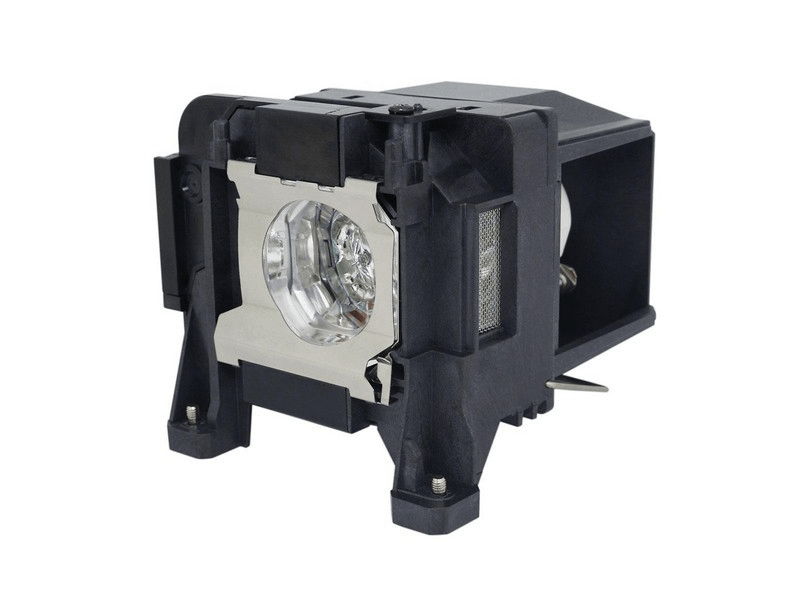 Powerlite Home Cinema 5040UBe Epson Projector Lamp Replacement. Projector lamp assembly with Genuine Original Osram P-VIP bulb inside. Lamp arrived on time and installed without any issues. The customer service representative was knowledgeable and professional. We would highly recommend Pureland Supply. Fast shipping a good price, but the screws did not catch. They were slightly different from the original. We made it work, but it was stressful and time consuming. Quick shipment and well packaged. Lamp seems to be of high quality and is working great.